Dh200 extra for each additional employee. Documents Required for E-Quota: Labour Establishment Card copy, License copy, Ejari & E-signature Card, DEWA Bill & Location map. TAQYEEM Team will visit your office/shop to check if your firm is eligible for new visa. No fee After submitting the application at Tas'heel Centre, TAQYEEM agency will call you same day or next day and will visit your establishment. They will ask for license copy, Labour Establishment Card copy and Ejari. If your company has vehicle, they will ask for the Mulkiya or vehicle list. Approval/reject message will come within 24 hours. Type Offer Letter from Tas'heel Centre and get signature and Thump Impression from the Proposed Employee. If the employee is out of UAE, mail the letter and get scanned copy of signature page. Documents Required: Passport copy of employee, Photo, Profession, Salary Details and Original Signature Card of the Authorized Signatory, Trade License and Labour Establishment Card Copy. For Pakistani nationals, copy of Pak ID (Shanakhti Card) is required for scanning. Documents Required: Good Conduct Certificate, Offer Letter with Company Seal/Sign and Employee's Sign plus All documents mentioned in the above column. 2-A Dh500 for Degree and Dh1200 for non-Degree Level Profession. 2-B Dh1000 for Degree and Dh2200 for non-Degree Profession. 2-C Dh1500 for Degree and Dh2700 for non-Degree Profession. Can be typed from Typing Centre if your Company has eDNRD User ID and Password. Dh4733 (for Secondary and below Level Profession) Q: How can I get information about company classification and fees structure? Dh5733 (for Secondary and below Level Profession) Q: How can I understand which profession is degree level? Copy of Trade License, Labour Establishment Card, Ejari (Tenancy Contract) and filled Company information form which is available from Ta’sheel Centre. This form should be typed with information about company location, working hours, number of staff on duty, on leave, contact number of office in-charge. GCC Driving License copy for Driver Visa application (Vehicle list from RTA also to be attached for Driver Visa), Sponsor's E-signature Card. Quota: Type e-quota application from Tas'heel Centre. • Documents required for e-quota: Copy of Trade License, Labour Establishment Card, Tenancy Contract (Ejari). • Project Agreements to be scanned for Contracting Companies. • Number of required workers, Gender and profession to be mentioned. Fee: Dh813 should be paid for Quota request application at Tas'heel Centre and Dh200 extra for each additional employee. Dh2 for Labour Envelope. Original e-signature card of the authorized signatory is must to complete employment visa process. After submitting the application at Tas'heel Centre, TAQYEEM agency will call you same day or next day and will visit your establishment. They will ask for license copy, Labour Establishment Card copy and Ejari. If your company has vehicle, they will ask for the Mulkiya or vehicle list. Type Work Permit application: Offer Letter with Company Seal/Sign and Employee's Sign plus All documents mentioned in the above section. Education Certificate required for certain professions. No need attestation for Secondary and higher Secondary Certificates. If the applicant is Pakistani nationals, copy of Pak ID (Shanakhti Card) is required for scanning. Dh103 to be paid at Tas'heel Centre. Work Permit Approval will come after two days. Insurance Policy instead of Bank Guarantee: Pay Dh150 for each employee at Tash'heel Centre. Pay Labour Card Fee as per the company category (See the table above). Pay Immigration Fee: Dh403 for each visa through eDNRD online and get e-Visa within some hours. Time takes depends on nationality for security check. If your company doesn't have eDNRD online, pay through AMER Business Centre. If you pay through AMER, the fee is Dh529. If the person is inside UAE, the fee is Dh1179. 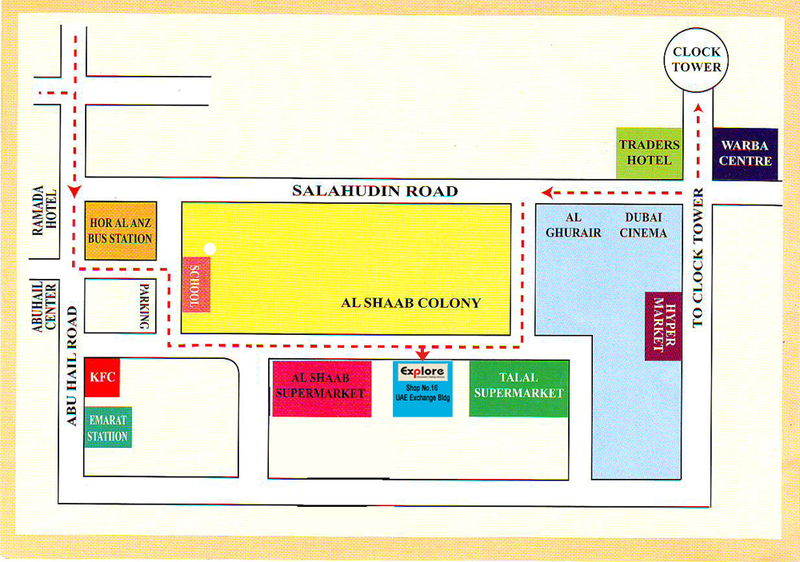 E-Dirham: Payment should be made through E-Dirham Card at Thas'heel Centre. You can Buy E-Dirham Card from any branch of National Bank of Abu Dhabi or from Aafaq Islamic Finance Company found at Thas'heel branches. E-Dirham Card fee: Dh6, Top up fee: Dh4. Minimum Age requirement for applying employment visa: 18, and Maximum: 65. Application status can be tracked through www.mohre.gov.ae by entering MB number which is printed on the application. If the applicant is inside the country on cancelled visa, type Visa Position Amendment application and pay Dh679 at AMER Centre. Seal and sign by the new sponsor and submit at Immigration. You will get a Status Change proof print. After Status Change only, you can go for Medical Test. There are 60 days time from the date of Entry/Visa Position Amendment to complete Medical, Emirates ID and visa stamping. IF THE APPLICANT ON VISIT/TOURIST VISA: If the visa holder is inside the country on Visit / Tourist Visa, type Visa Position Amendment form and pay Dh679 at AMER Centre after issued the new employment visa. Tourist visa holder also can can change visa inside country without exit. SHARJAH: Employment visa will not be issued in Sharjah if the applicant is on Tourist Visa. Type Medical and Emirates ID application and first go for Medical Test and then for Emirates ID fingerprint (if required). Medical Fee: Dh270+Typing charge (Normal), Emirates ID: Dh270 (two years). After receiving Medical Certificate, type Labour Contract from Tas'heel Centre. Fee: Dh103. Get seal and signature of the sponsor and employee on the Labour Contract and submit through Tas'heel Centre. Submission Fee: Dh103. Unskilled labours should attend a guidance lecture conducted by Tawjeeh Centre related to labour rules and regulations. After attending the class, you can submit this contract through Tawjeeh Centre. Fees at Tawjeeh Centre: Dh203. Submit visa Stamping form through AMER Centre: Fee Dh400+Typing charge. You also submit through eDNRD if your company has User ID and Password for visa transactions. After online submission, Zajel courier will collect the passport and attachments from Typing Centre or your office. You should wait for online approval before calling Zajel. After visa stamping they will deliver passport to your office after two days. Labour Card and Labour Contract within 24 Hours: If you pay Dh103 extra at the time of contract submission, you can collect your Labour Contract from the same Tas'heel Centre within 24 hours. Or you can print your e-Contract and e-Labour card from www.mohre.gov.ae or from Typing Centre. In future, if you need your Labour Contract for family visa or other purpose, you can go to Tas'heel Centre and pay there Dh103 or print from Typing Center. Passport copy is enough for this purpose. • Verify validity of your Entry Visa. tags: What are the documents required for Employment Visa? Where should I submit application for Employment visa? What is quota? Do I need to apply for quota first? Do I need to mention salary at the time of initial approval? Can any one go to Ta'sheel Centre for typing application or should I send PRO? Which profession needs certificate? Do I need to attest my degree certificate for employment visa application? Where can I get the list of professions? Is it necessary to attest secondary certificate for employment visa? Can I apply for Employment visa while I am on Visit / Tourist Visa? How much is the total cost of an Employment visa? Is the bank guarantee refundable? Is the employer allowed to charge visa expense from the employee? How long the Employment visa process will take?